In 1998 Finn Juhl’s widow, Hanne Wilhelm Hansen, called us and asked if we could help make one of Finn Juhl’s sofas – model 57. Initially we were very surprised as we did not know Hanne Wilhelm Hansen. 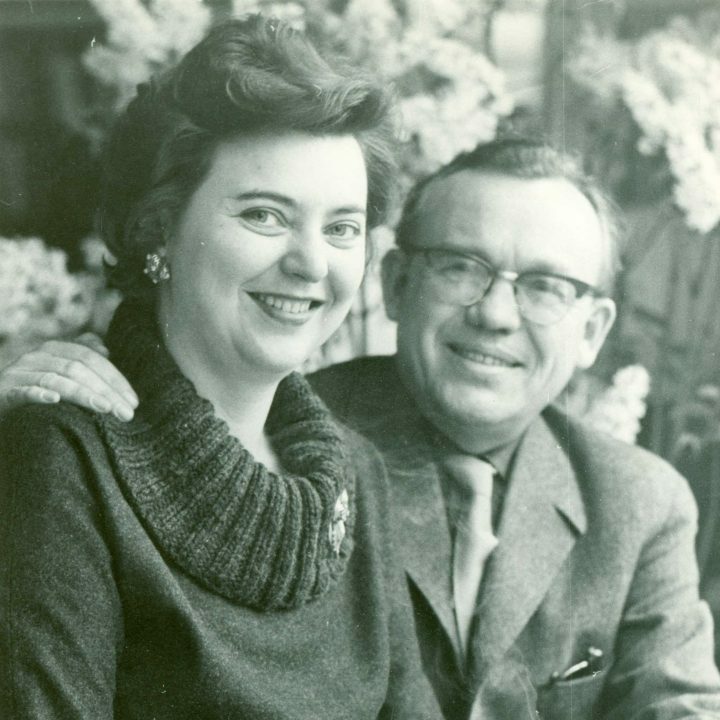 However, we did know architect Bård Henriksen who was helping Hanne manage the rights to Finn Juhl’s furniture and he was the one who had suggested that she got in touch with us – “the guys from Ringkøbing”. 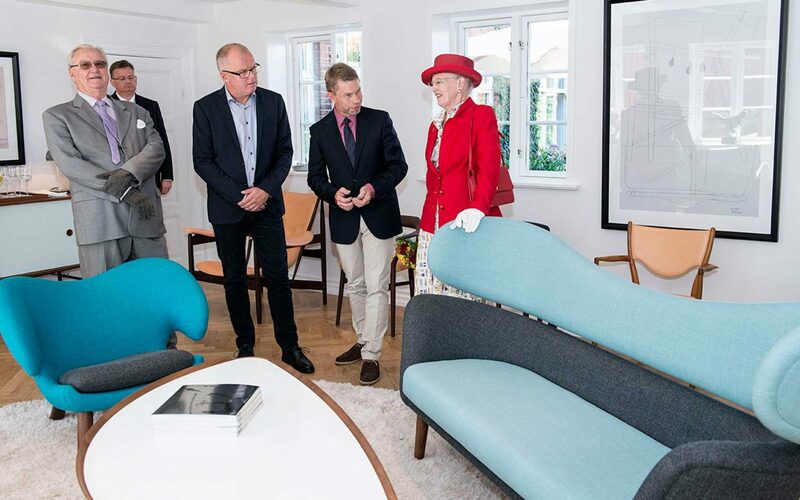 Hanne wished to have a single unit of the sofa manufactured for an exhibition she was arranging in honour of Finn Juhl who had passed away in 1989. Since we already revered Finn Juhl as one of the most important pioneers in Danish design history this was an amazing opportunity for us – and we immediately accepted the challenge. We made the sofa, Hanne saw it and thought that it was fantastic. This marked the beginning of a new chapter in Onecollection’s history. We studied Finn Juhl’s materials and archives in detail and requested permission to re-launch the Poet sofa and the Pelican chair. Hanne gave us the permission and additionally we received full access to Finn Juhl’s house where Hanne lived. Furthermore we consulted Mr. Oda Noritsugu from Japan who owns the world’s largest private collection of Finn Juhl furniture and with help from skilful craftsmen we recreated the two models. The Pelican chair had only been produced in a few limited units in 1940. 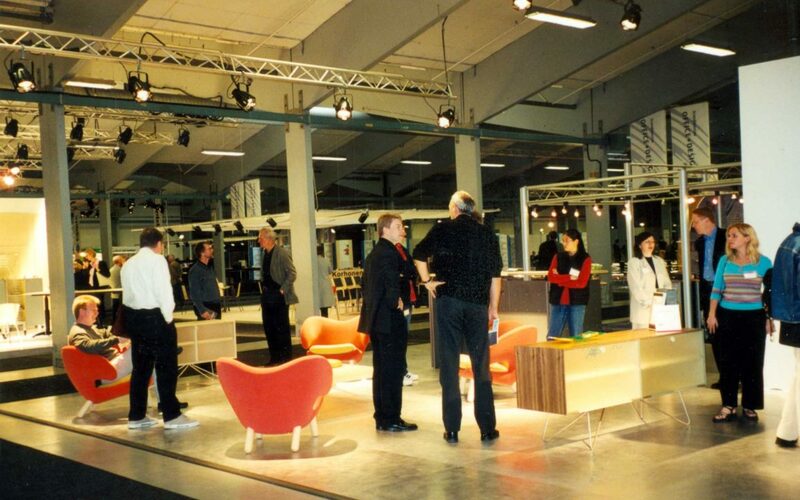 Now it was going to have its rebirth at the international furniture fair in Cologne, in a new millennium. It was a gamble on our side. Finn Juhl’s furniture had not been exhibited for many years and had, to a large extent, been forgotten outside of the art and design history circles. The fair became a turning point for us since we displayed furniture that everyone seemed to have an opinion about. Some people thought that the Pelicans were ugly and compared them to tired animals, others thought that they were funny and then there were those who thought that they were simply brilliant. Finn Juhl’s furniture immediately brought us in contact with foreign parties who took an interest in the pieces. 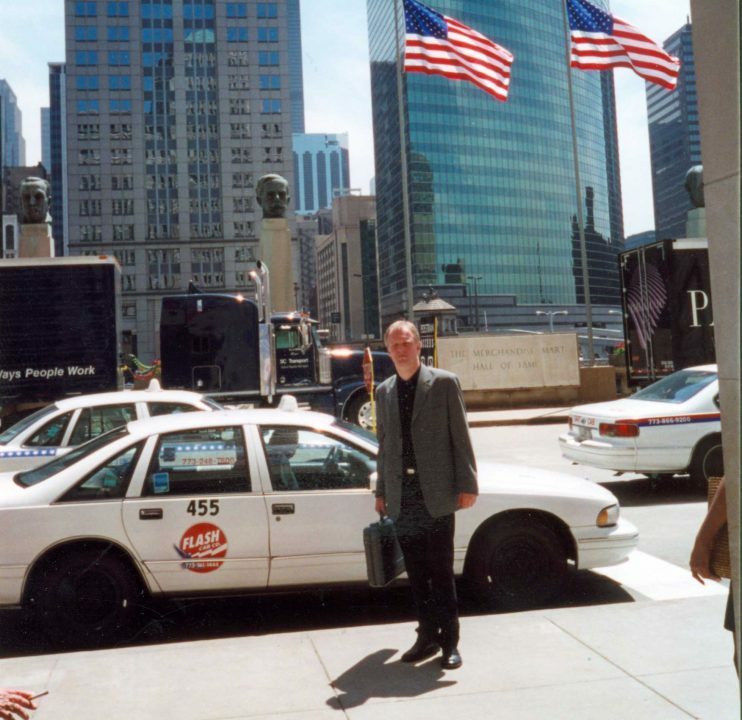 A large U.S. company stated that they wanted to reintroduce Finn Juhl’s furniture on the U.S. market and they paid us a visit on September 12, 2001. However, the Twin Towers in New York City had just fallen the previous day – and Finn Juhl’s furniture turned out to be harder to sell than we had ever imagined. In spite of this difficulty we could not refuse when Hanne one day asked us if we wanted to take over all rights to Finn Juhl’s furniture. We were simply not thinking rationally about the consequences – and today we are happy that we did not. Finn Juhl’s furniture consists of unique masterpieces which demand the utmost respect in every possible aspect. They are expensive to develop, to manufacture and to hold in stock – and in the beginning, sales were few. At the same time, we had to fight off the many people who claimed to be experts and arbiters of taste. The vintage pieces manufactured by master joiner Niels Vodder and Bovirke found their way to the auction houses, and were considered to be genuine and original – whereas our re-launched models, in the beginning, were deemed to be “new copies of dubious nature”. In reality, our models were manufactured exactly like the furniture in Finn Juhl’s own house. The only difference was today’s possibilities to use high-tech CNC machines which, paired with our craftsmanship, provided unique opportunities for the furniture’s organic mode of expression and the delicate seams that were supposed to withstand everyday use. Nothing is ever final when you talk about what is right and wrong about Finn Juhl’s designs. He was not a craftsman himself, but always worked closely with one and often times both parties left their imprint on the result. This is why it has been important for us to study Finn Juhl and get to know him – since he is now absent from the scene. "We have always held the firm belief, that the world would open its eyes to Finn Juhl’s universe of artistic furniture. Therefore it is with great joy and satisfaction that we now find that Finn Juhl has taken us on a fantastic trip around the world where we meet furniture enthusiasts interested in Finn Juhl everywhere"
We have always held the firm belief, that the world would open its eyes to Finn Juhl’s universe of artistic furniture. 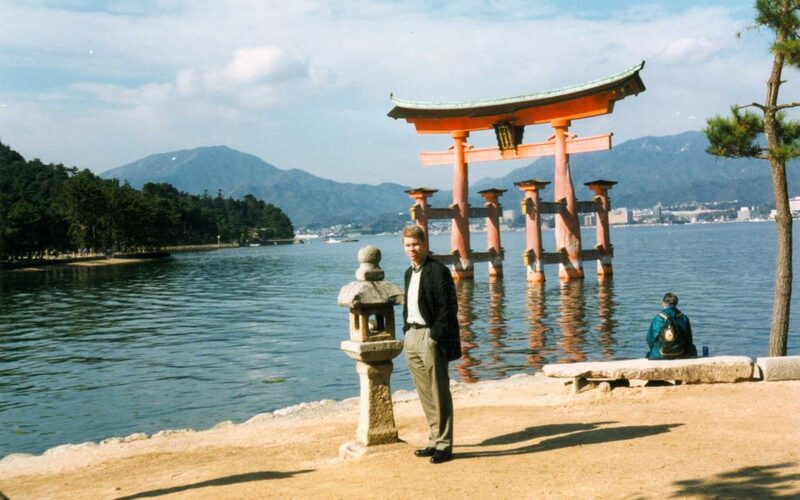 Therefore it is with great joy and satisfaction that we now find that Finn Juhl has taken us on a fantastic trip around the world where we meet furniture enthusiasts interested in Finn Juhl everywhere. "Today no one seems to question the originality of our Finn Juhl furniture anymore – and the collection, which now contains more than 40 models, is sold all over the world"
Today no one seems to question the originality of our Finn Juhl furniture anymore – and the collection, which now contains more than 40 models, is sold all over the world. 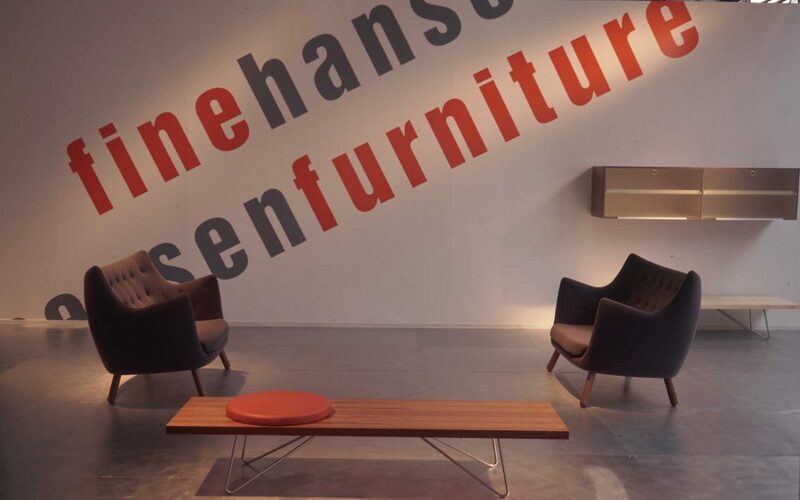 A professional board of directors would probably have turned down the offer when Hanne Wilhelm Hansen asked us to overtake the rights to Finn Juhl’s furniture. Fortunately, we did not have one. The freedom to make certain decisions ourselves – and face the consequences of our own actions is the very reason this journey has been fun for us every step along the way.